You are currently viewing Archived reports for the week of 16 May-22 May 2012. 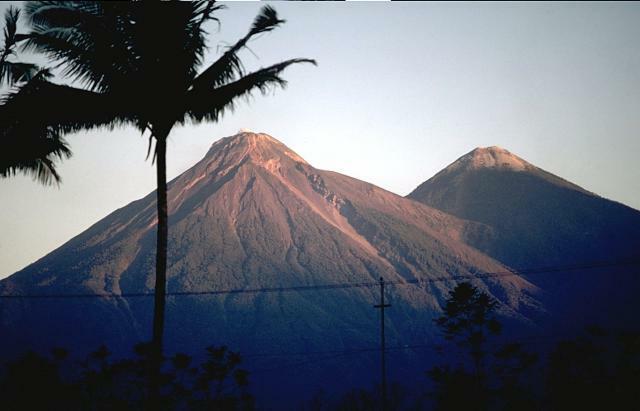 On 19 May seismicity at Fuego increased and explosions were heard at 5-10 minute intervals. A 600-m-long lava flow descended the W flank, and a 1-km-long and 20-m-wide lava flow descended the E flank, reaching the base of the volcano. 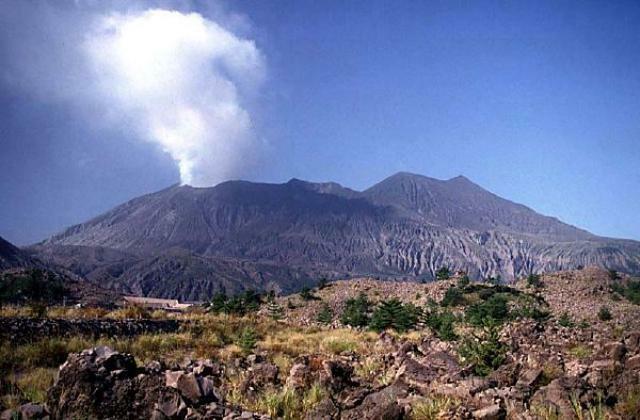 Explosions ejected incandescent tephra 400 m above the crater, and produced ash plumes that rose 5 km above the crater and drifted 30 km S and SW. Coordinadora Nacional para la Reducción de Desastres (CONRED) raised the Alert Level to Orange (the second highest level on a 4-color scale). 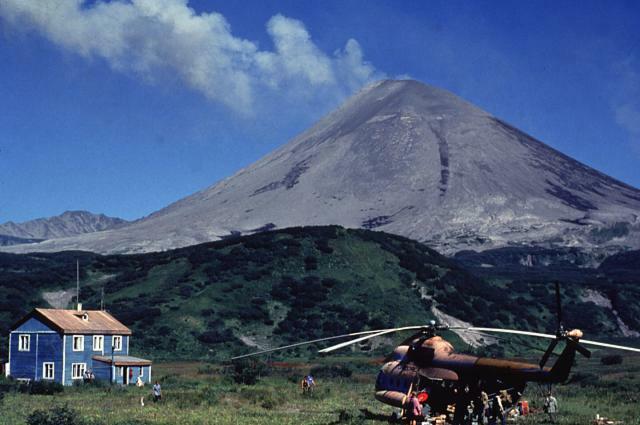 Pyroclastic flows also descended the flanks, prompting authorities to restrict passage on part of a highway. Ash plumes from the pyroclastic flows rose 3 km above the crater. Ashfall was reported in Morelia (7 km SW), Panimaché I and II (9 km SW), Sangre de Cristo (8 km WSW), and Yepocapa (8 km WNW). Thirteen people from El Porvenir in Alotenango (8 km ENE) evacuated to local shelters. 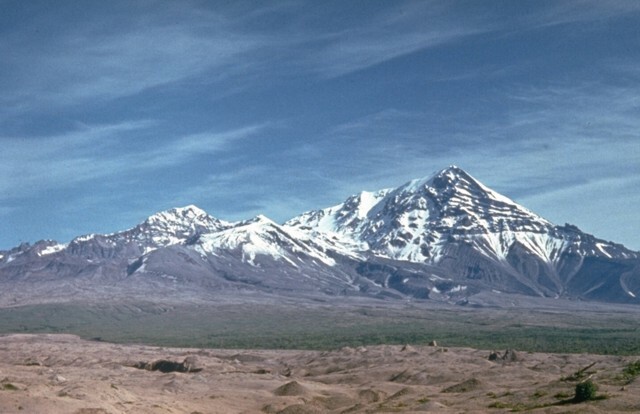 Visual observations and seismicity indicated that activity decreased later that day. On 20 May a few explosions generated ash plumes that rose 500 m above the crater and drifted 8 km SW. The next day cloud cover prevented observations; however explosions, rumbling, and degassing sounds were reported. On 22 May explosions generated ash plumes that rose as high as 1 km and drifted 10 km S and SE. Rumbling was heard and shock waves were detected. The lava flows were inactive and only incandescence from block avalanches was observed. Based on information from JMA, the Tokyo VAAC reported that during 16-20 and 22 May explosions from Sakura-jima produced plumes that rose to altitudes of 1.8-3.7 km (6,000-12,000 ft) a.s.l. and drifted multiple directions. Pilots observed ash plumes during 16-17 May that rose to altitudes of 2.7-4 km (9,000-13,000 ft) a.s.l. and drifted E and SE. Explosions were detected during 21-22 May. JMA reported that during 18-21 May explosive eruptions from Showa Crater occurred multiple times and ejected tephra as far as 1.8 km from the crater. Incandescence from the crater was observed at night. Very small eruptions from Minami-dake Crater occurred on 18 and 19 May, and a small pyroclastic flow traveled 300 m down the Showa crater flanks on 21 May. 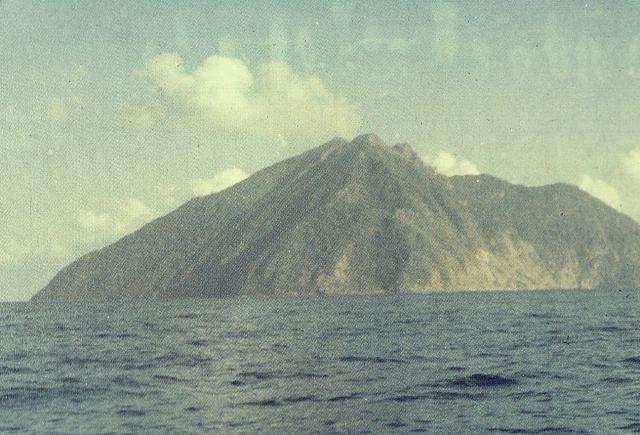 AVO reported that during 16-22 May satellite observations of Cleveland's summit crater revealed nothing unusual; no ash emissions or other signs of unrest were detected or reported. The Volcano Alert Level remained at Watch and the Aviation Color Code remained at Orange. Based on analyses of satellite imagery, the Darwin VAAC reported that on 18 May an ash plume from Dukono rose to an altitude of 3 km (10,000 ft) a.s.l. 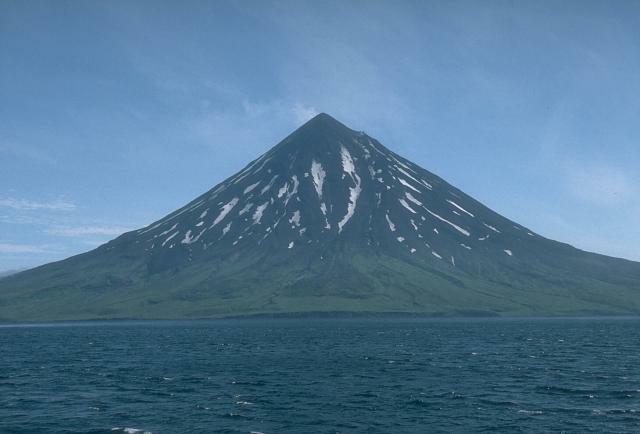 and drifted 55 km E.
KVERT reported that moderate seismic activity from Karymsky continued to be detected during 11-18 May, and indicated that possible ash plumes rose to an altitude of 1.8 km (6,000 ft) a.s.l. on 10 and 14 May. Satellite imagery showed a thermal anomaly on the volcano during 10-13 and 16 May. The Aviation Color Code remained at Orange. 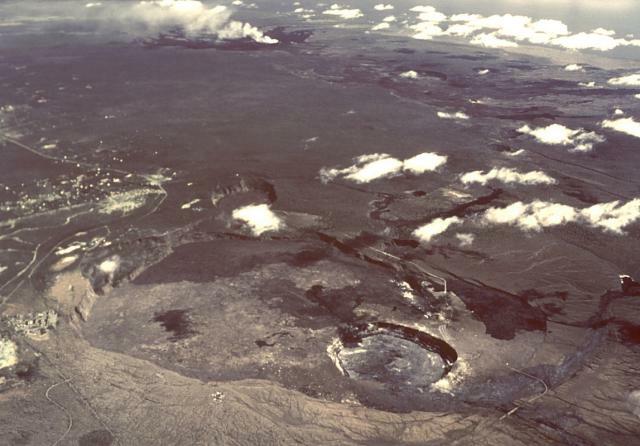 During 16-22 May HVO reported that the circulating and spattering lava lake periodically rose and fell in the deep pit within Kilauea's Halema'uma'u Crater, and spilled over the deep inner ledge on multiple occasions. On 15 May laser measurements indicated that the lava-lake surface was about 65 m below the Halema'uma'u Crater floor, among the highest levels measured; the lake rose five more meters during 18-19 May. Almost daily measurements indicated that the gas plume from the vent continued to deposit variable amounts of ash, and occasionally fresh spatter from the margins of the lava lake, onto nearby areas. A lava pond in a small pit on the E edge of Pu'u 'O'o crater floor remained active with spattering. On 19 May a small collapse of the N rim of the pit slightly enlarged the pit and lava pond within. A small lava flow erupted from a vent on the S part of the floor. Lava flows were active on the pali and the coastal plain, and were about 750 m from the sea. 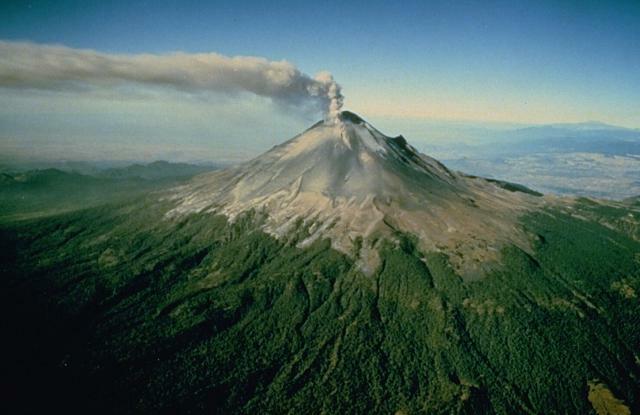 CENAPRED reported that, although cloud cover often prevented observations of Popocatépetl during 16-22 May, multiple gas-and-ash plumes were observed daily rising as high as 1.5 km above crater. Plumes drifted NW, NE, SE, and SW. Incandescent fragments ejected from the crater landed on the flanks as far as 800 m away. Seismicity remained high. The Alert Level remained at Yellow Phase Three. 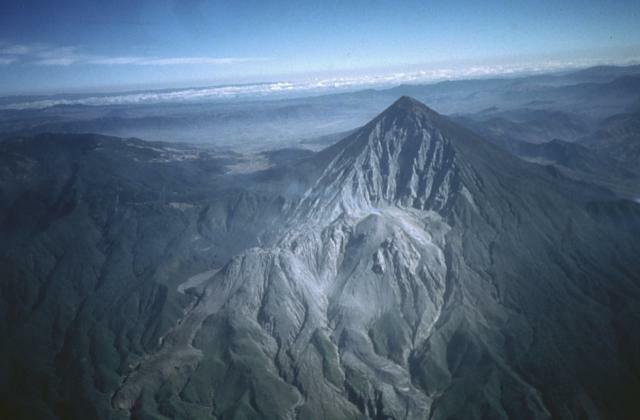 INSIVUMEH reported that on 21 May a lahar traveled down Santa María's Rio Nima II drainage, carrying tree branches and 40-cm-wide lava blocks. On 22 May explosions produced ash plumes that rose 900 m above Caliente dome and drifted 10 km SE. Ashfall was reported in San Felipe (15 km SSW), El Nuevo Palmar (12 km SSW), and areas on the E flank. KVERT reported that explosive activity at Shiveluch continued during 11-18 May. Ground-based observers and satellite imagery indicated that a viscous lava flow continued to effuse in the active crater, and was accompanied by fumarolic activity and lava-dome incandescence. Satellite imagery during 10-12 and 15-16 May showed a thermal anomaly on the lava dome. 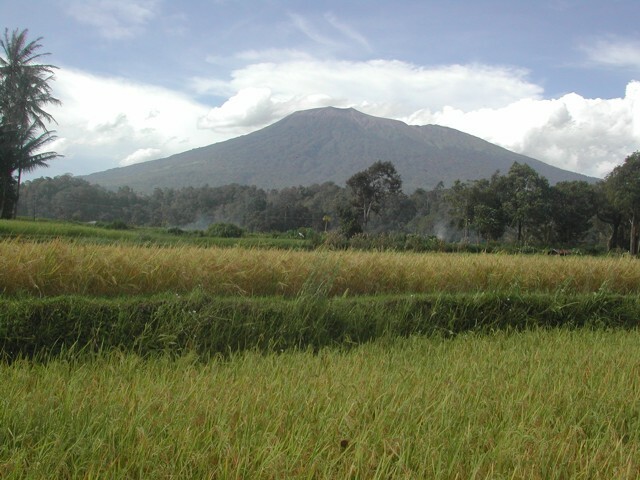 On 12 May observers reported that ash plumes rose to an altitude of 8 km (26,200 ft) a.s.l. and satellite imagery showed an ash plume drifting more than 800 km E.
Based on information from KVERT and analyses of satellite images, the Tokyo VAAC reported that on 20 May an ash plume rose to an altitude of 9.1 km (30,000 ft) a.s.l. and drifted SW. Images the next day showed that the ash had dissipated. 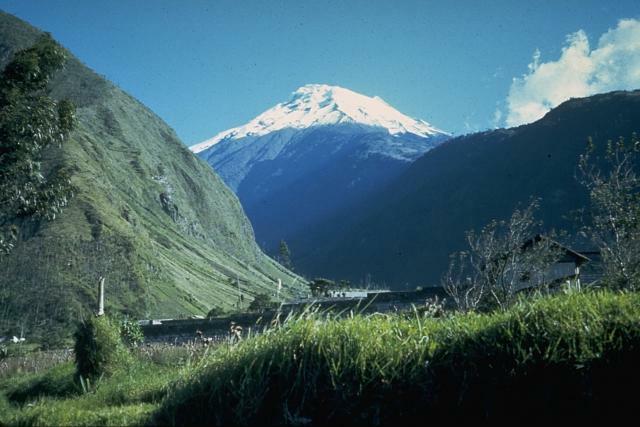 IG reported that during 16-22 May visual observations of Tungurahua were often limited due to cloud cover. 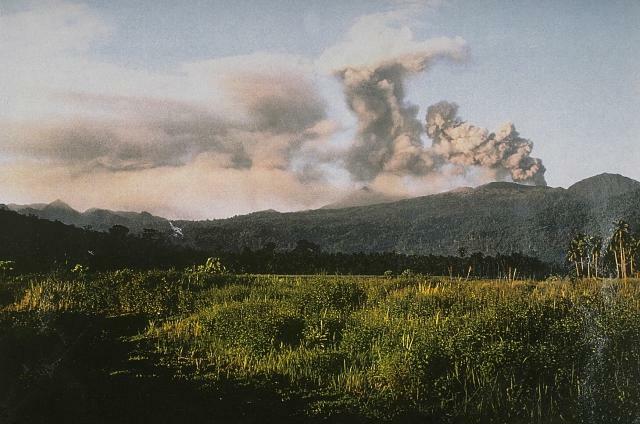 On 16 May a steam-and-gas plume drifted W and lahars descended the W flank. On 18 May ashfall was reported in Manzano (8 km SW), Choglontus (SW), Chontapamba (W), Yuibug, Puela (8 km SW), and high in the Mapayacu drainage (SW). Roaring was heard on 22 May, and slight ashfall was reported in Manzano.